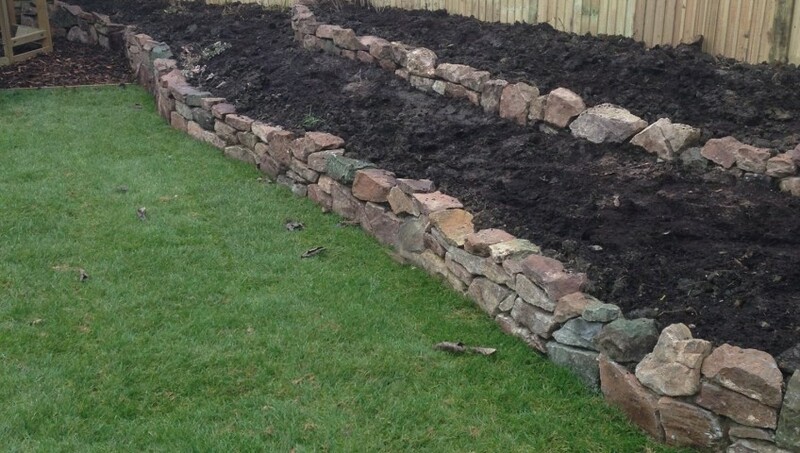 A dry stone wall can add a strong and eye catching element to the right garden. 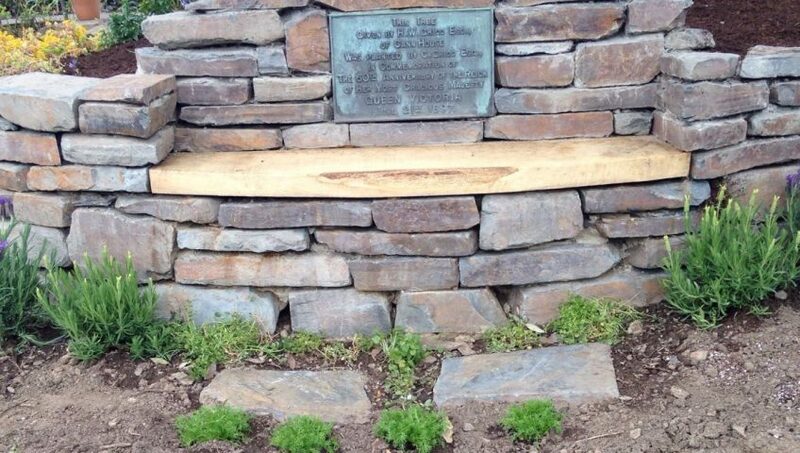 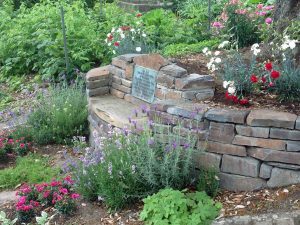 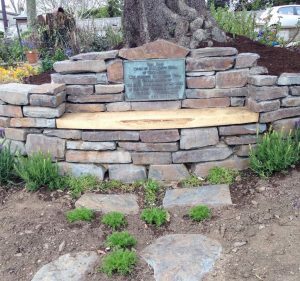 This seat, built to commemorate the planting of the Holm Oak it surrounds was built using locally sourced stone and oak from a local timber yard. 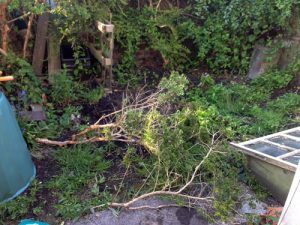 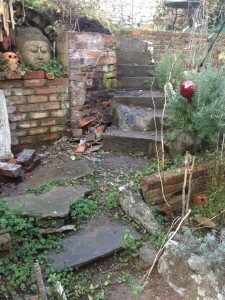 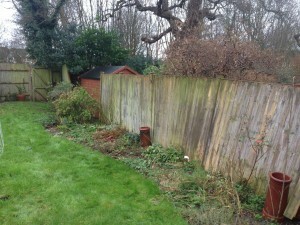 The owners of this property in St Pauls had a jungle on their hands when we first came to visit. 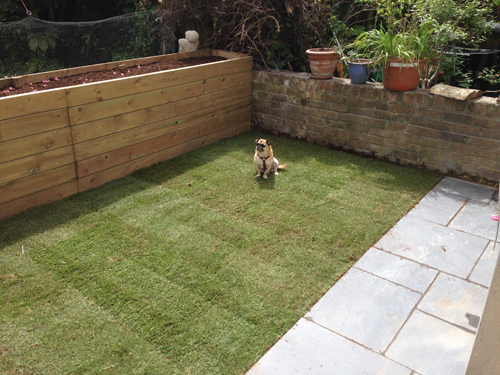 After a lot of clearance a new wall, patio, lawn and raised bed was installed leaving them a much larger space for them and their dog to enjoy. 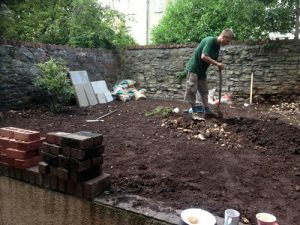 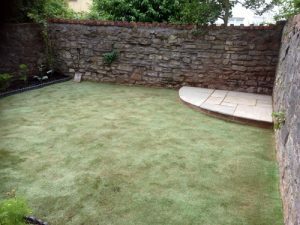 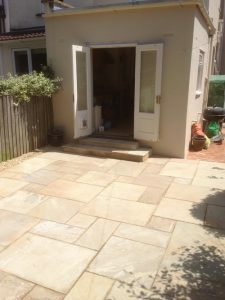 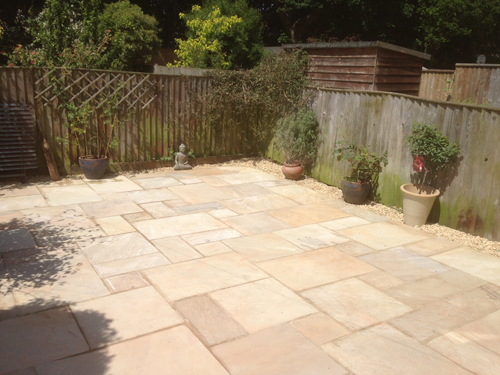 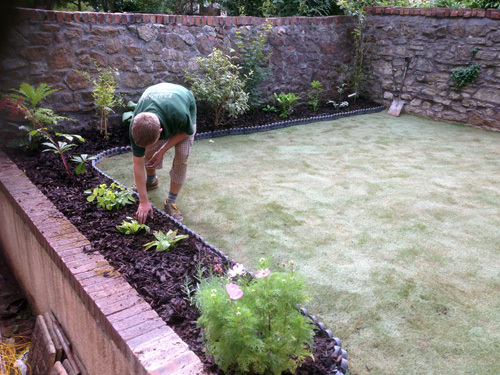 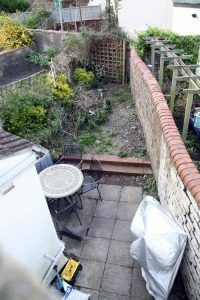 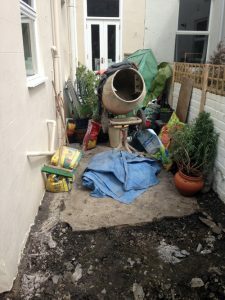 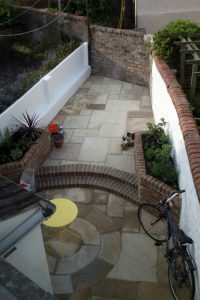 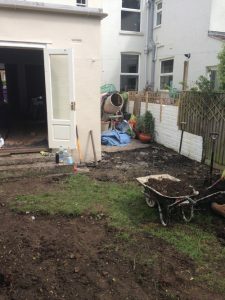 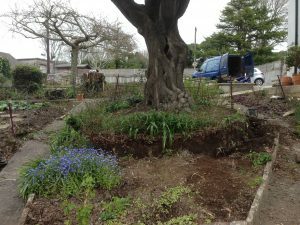 This garden in Bishopston was very overgrown, so after some extensive clearance the walls were underpinned, repaired and painted. 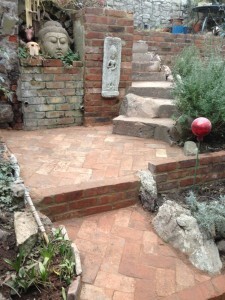 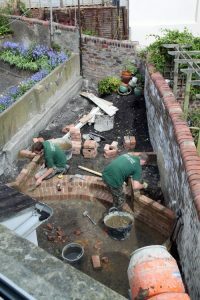 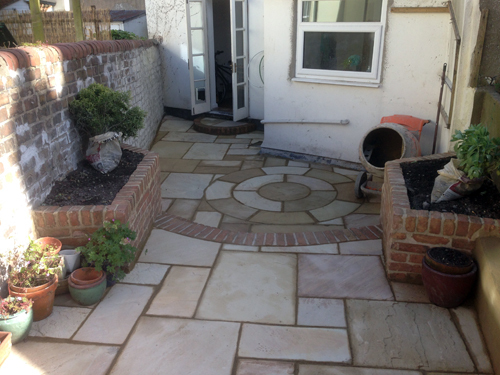 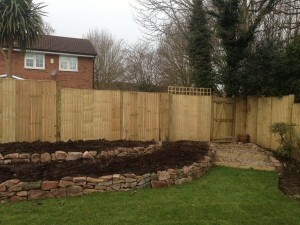 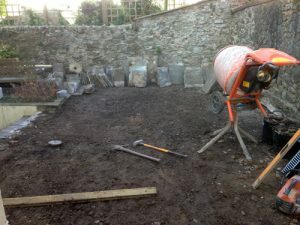 New paving and walling was installed and beds planted. 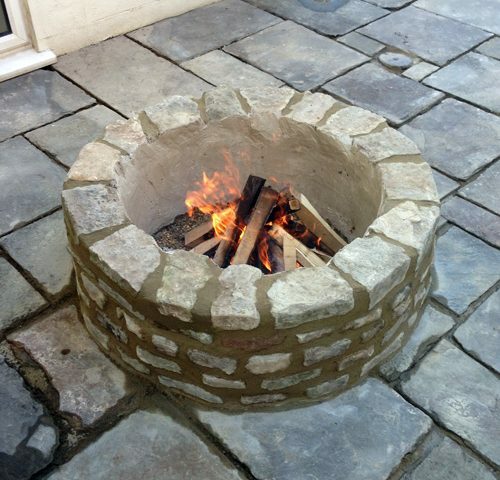 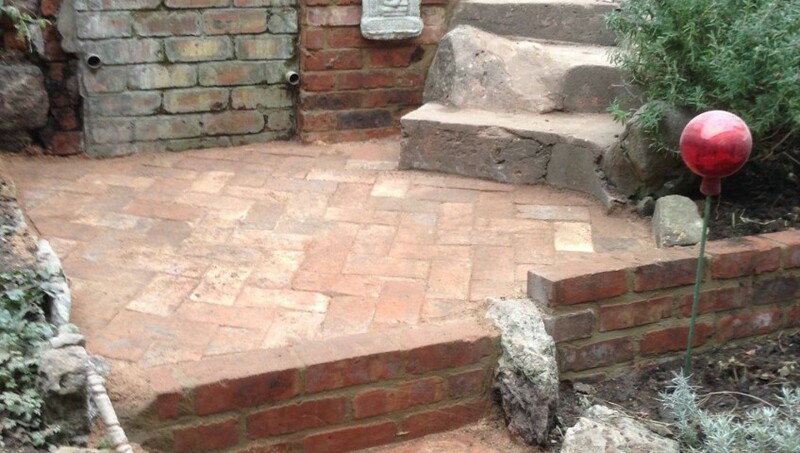 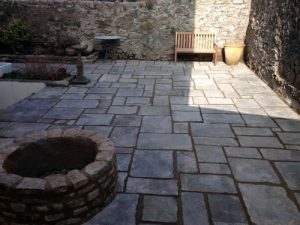 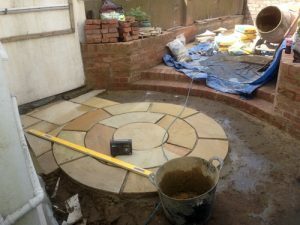 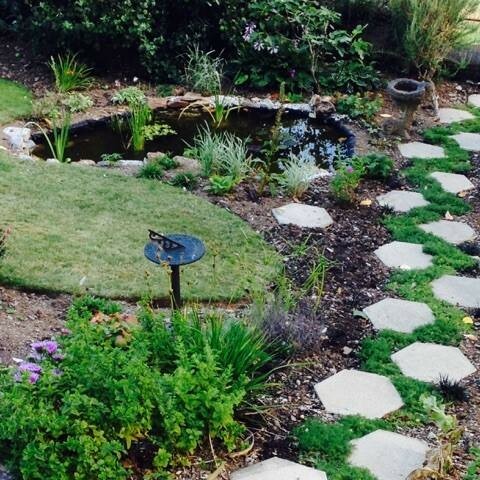 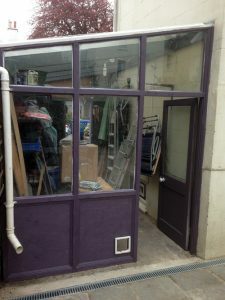 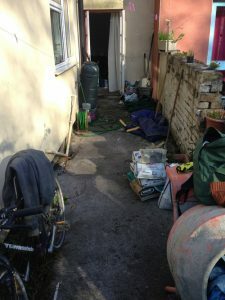 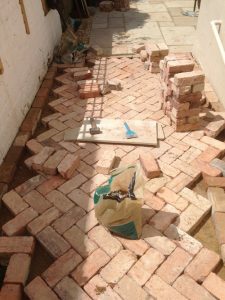 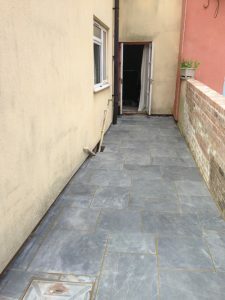 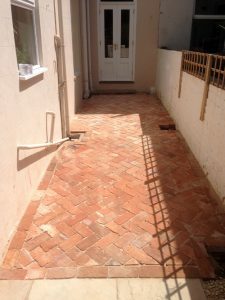 The circular paving kit had to be made to measure as the space was too small for a prefabricated kit.